We have Just Sold out of Star Wars Stormtrooper Rubber Utility Mat. Not to Worry! Fill in the Notify me When Available and you will be the first in line for our restock of Star Wars Stormtrooper Rubber Utility Mat !! From the Star Wars collection by Plasticolor. 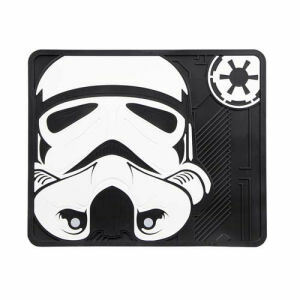 Star Wars Stormtrooper Rubber Utility Mat. This Utility mat measures about 17 inches wide by 14 inches tall. Colors do not fade. Easy cleaning with soap and water.